It's easy to subscribe to the Cat Breed Blog. NO e-mail address required, no spam and dead easy to unsubscribe - just delete the feed. The best part of being a subscriber is that our Cat Breed Blogs are short and sweet. This Norwegian Forest cat picture gallery features a collection of magnificent semi-longhaired cats in a range of coat colors and patterns. Continue reading "Norwegian Forest Cat Picture Gallery"
A gallery of Pixie Bob cat photos featuring images of a cat breed with a short tail, a wild-look and polydactyl paws. 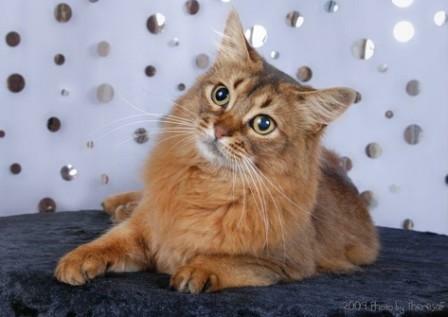 Continue reading "Pixie Bob Cat Photos"
A collection Somali cat pictures that features stunning cat photos of foxy-looking Somali kittens and cats in different coat colors. 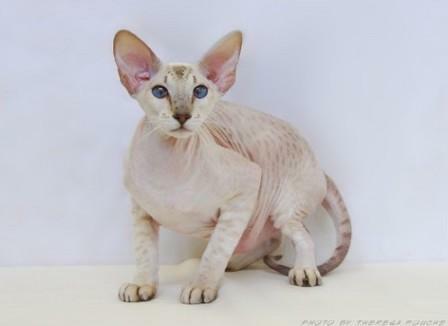 Continue reading "Somali Cat Pictures "
Pictures of Peterbald cats showcasing this new hairless cat in an array of coat colors and coat patterns. 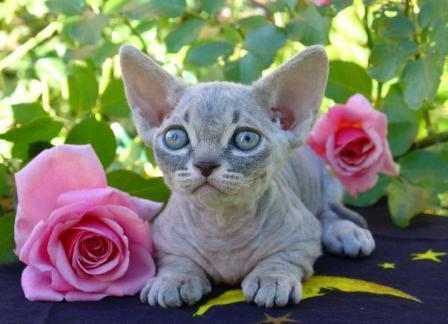 Continue reading "Peterbald Cats Pictures"
A gallery of Sphynx cat pictures showcasing gorgeous hairless cats and kittens in a range of coat colors and patterns. 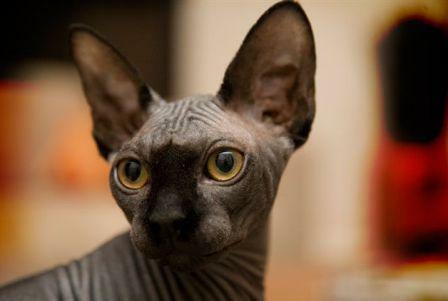 Continue reading "Sphynx Cat Pictures"
The automatic cat litter box or a self-cleaning litter box is an economical, hygienic and hassle-free alternative to a litter tray. It’s environmentally friendly and hygienic too. Continue reading "Automatic Cat Litter Box"
Cat litter box furniture is designed with home decor in mind. Covered cat litter box covers were developed to provide cats with toilet privacy and to hide unsightly cat litter trays and odors. Continue reading "Cat Litter Box Furniture | Covered Cat Litter Box"
The Minskin cat is a short legged cat or dwarf cat and is a new and rare breed. This guide provides facts about its creation, features, personality, health-related matters and general care. 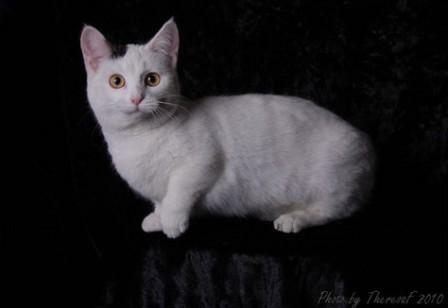 Continue reading "Minskin Cat - Breed Profile and Facts"
Manx cat pictures showcasing unique tailless cats in an array of coat colors. 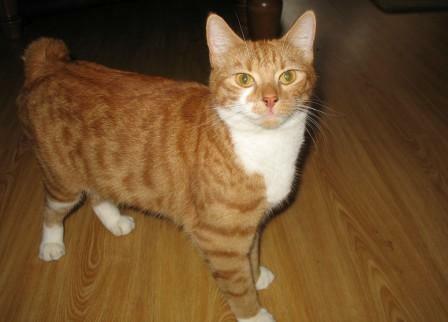 There are photos of different Manx tail lengths and we also feature the longhaired Manx – the Cymric. 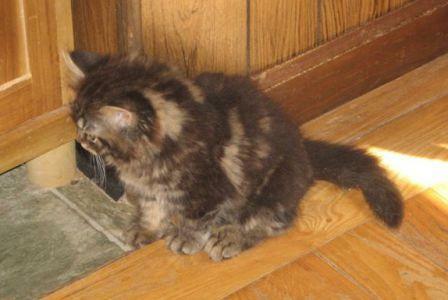 Continue reading "Manx Cat Pictures - Rare Tailless Cats"
The Manx cat is a unique tailless cat that comes is a shorthaired and longhaired variety known as the Cymric. This profile provides facts about its characteristics, health concerns, diet and pictures. 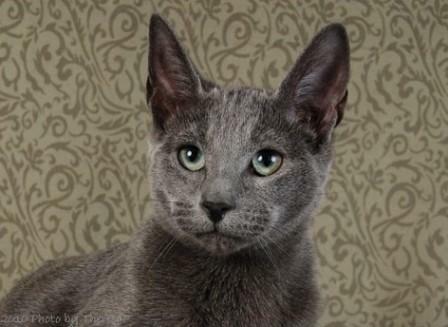 Continue reading "Manx Cat - Breed Profile and Facts"
Stunning Russian Blue cat pictures which features a range of blue-coated cats and kittens. There are also great images of black Russian Shorthair kittens accepted by a few cat registries. Continue reading "Russian Blue Cat Pictures "
The Russian Blue cat, as the name implies, has a beautiful silver-blue coat. This guide provides facts about its features, personality, health and nutrition and stunning cat photos to match. 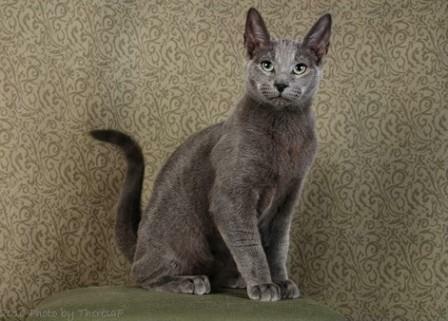 Continue reading "Russian Blue Cat | Russian Shorthair - Breed Profile and Facts"
Savannah cat pictures showcasing fine examples of rare hybrid cats and kittens that resulted from crossing the wild Serval and a domestic cat. 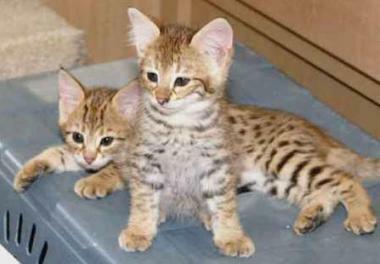 Continue reading "Savannah Cat Pictures"
Scottish Fold cats are characterized by unique folded ears. This guide provides pictures and facts about their features, personality, health, nutrition and ideal home. 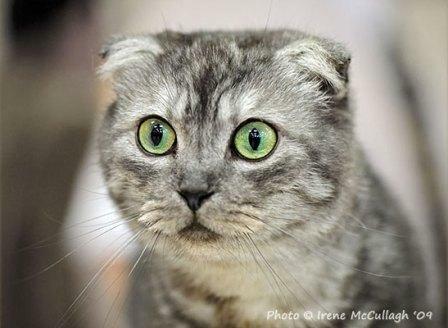 Continue reading "Scottish Fold Cats - Breed Profile and Facts"
Munchkin cat pictures featuring images of short legged, dwarf cats in a range of coat colors and patterns. Continue reading "Munchkin Cat Pictures "